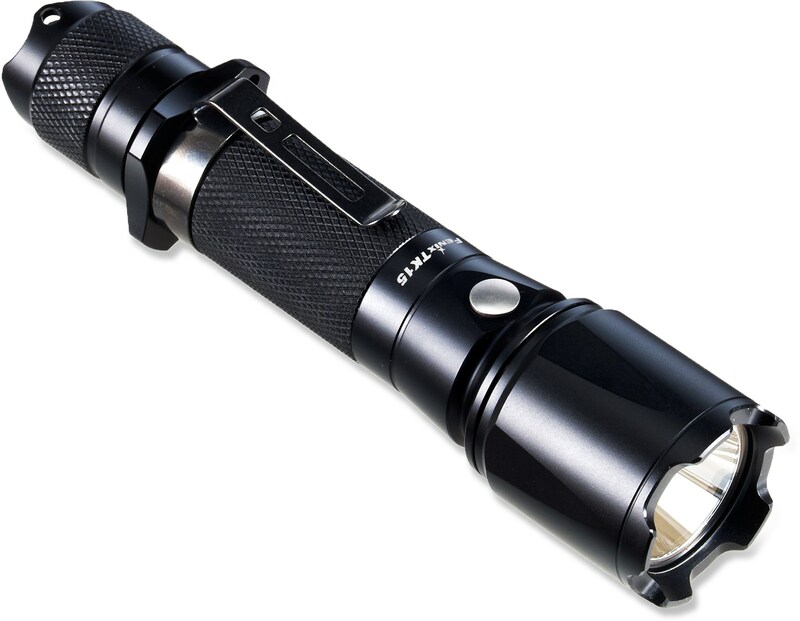 The Fenix TK15 S2 flashlight features a tough design suitable for tactical applications. Equipped with supplemental red and green LEDs, the CREE XP-G2 R5 Fenix TK15C Flashlight delivers the type of light you need for just about any situation; red for enhanced eye shine, green for better distance performance and white for any situation. The TK15C is also features strobe, flashing color mode and battery level indicator. This light can be powered with two CR123a batteries or a single 18650 cell and puts out 400 lumens of light. The TK15 can be weapon mounted using most one inch weapon mounts. Switching modes is easy by using the button located on the side of the light.